One of our unique areas of practice involves the defense of the amusement and leisure industries. As members of the International Amusement and Leisure Defense Association (IALDA) we not only defend, but also educate the amusement and entertainment industries by authoring informative articles in trade journals, speaking at seminars and conducting mock trials. Dell, Moser, Lane & Loughney, LLC, has presented educational seminars for the Amusement Industry, Manufacturers and Suppliers (AIMS), the Roller Skating Association (RSA), the Bowling Proprietors' Association of America (BPAA) and the Pennsylvania Amusement Parks Association (PAPA). We are also members of the American Society for Testing and Materials, Committee F24, the body that creates industry standards governing amusement rides and devices. Our firm takes an active role in keeping our clients informed about the most recent legal decisions affecting these industries as well as striving to protect clients from future litigation. 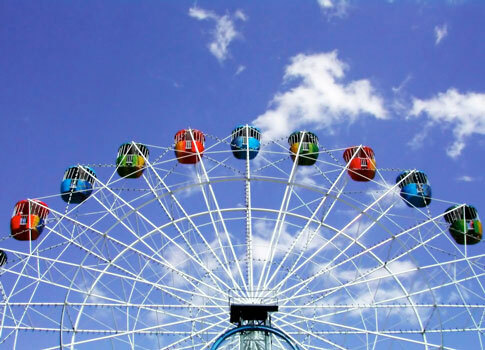 Our firm has a lengthy history of successfully defending amusement parks, family entertainment centers, roller rinks, go-kart tracks, miniature golf courses and amusement ride manufacturers. We are experienced in handling virtually any case against an amusement or leisure facility ranging from fall downs to roller coaster accidents and from false arrest claims to waterslide injuries. In order to keep ourselves abreast of industry developments, we annually attend the International Association of Amusement Parks and Attractions (IAAPA) convention to speak with vendors and operators regarding the latest technology and safety devices and to share litigation experiences with other defense attorneys in the industry.